A review of search and rescue aviation operations in Ireland has identified several sources of confusion among the agencies overseeing the system. The unpublished review, seen by RTÉ News, was commissioned by Minister for Transport Shane Ross on the recommendation of the Irish Air Accident Investigation Unit. It followed on from that agency's inquiry into the fatal helicopter crash at Blackrock in Co Mayo in March 2017. The R116 helicopter crash led to the deaths of Captain Dara Fitzpatrick, Capt Mark Duffy, winch operator Paul Ormbsy and winch man Ciaran Smith while on a rescue mission. The study carried out by a team of international experts was tasked with examining any gaps in the oversight of search and rescue operations. It did not examine the circumstances of the Blackrock crash and said there is no intention to link the findings to the accident. Those findings include what it says were "several sources of confusion and potential conflicts of interest that have resulted in a lack of shared understanding of roles and responsibilities" among the agencies overseeing rescue operations. The report recommends that the Department of Transport now clearly assigns the Irish Aviation Authority with responsibility for the "legal and safety oversight" of civil aviation search and rescue activities. 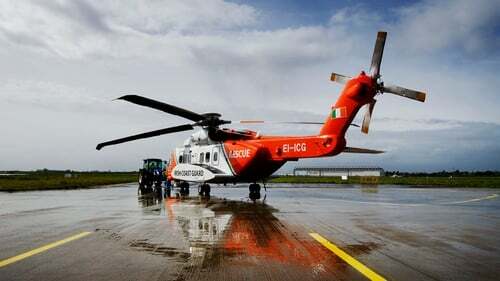 The report found that there is a lack of clarity around the roles and responsibilities of the Department of Transport, the Irish Aviation Authority and the Irish Coast Guard in the area of search and rescue. The report found that the Irish Coast Guard did not have the "necessary knowledge" to monitor the technical safety regulations in the contract with the company that provides the helicopter search and rescue service. The Minister for Transport Shane Ross said that he will publish the review once it has been fully considered. In a statement, he also said he would ensure that the report's recommendations are implemented.